Giveaway dose: CLOSED: 1st Blog Anniversary giveaway (international) !! 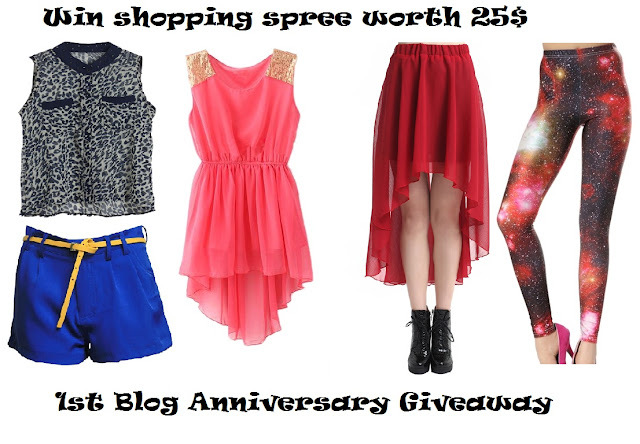 CLOSED: 1st Blog Anniversary giveaway (international) !! Happy Birthday to Giveaway dose !! The blog started with this post " Hello friends "
Plz follow all the mandatory rules. Results will be announced here and in my Fb page - ~ fashion addict ~ after a day or two the giveaway ends. United States! Thanks so much for the fantastic giveaway! Entered the giveaway. Congrats dear..n thnks for the comment on my blog. thanks for your comment dear, following you on gfc too! Follow each other on bloglovin to stay in touch? Thanks for the giveaway! I'm from the U.S. I follow you now on GFC and Bloglovin! Just like the most perfect dream. Keep in touch! Congrats and good luck! I am from Bulgaria. Congrats for 1st anniversary! First of all, congrats for your 1st Anniversary! I'm from Romania and I'm glad to join your giveaway! Wish you all the best! congrats on your blog's birthday! Hi, Congrats on your blog anniversary. I am from India. Thanks for the lovely Giveaway. Hey sweetie, congrats on your blog birthday!! thank you very much for your comment ;) kisses!! Thank u, I'm following u too on gfc and bloglovin'! Hello!! thank you for stopping by and commenting on my blog! Follow you back <3 great giveaway!! a very happy birthday to your blog!! Belarus! Congrats on Your Anniversary! Amazing! And your blog is stunning! wanna follow each other via GFC and bloglovin? It would be a pleasure and we could keep in touch though. please let me know and have a nice weekend! Congratulations dear.... you have surely come a long way. ENter me! :D I'm from italy! Congrats on your Blogiversary, Prerana, and thanks for the giveaway! I’d love to following you on GFC and bloglovin’ too! I‘m following you with GF and Blogloving! I am from the Philippines. I'm from Greece!!! Thank you! Happy blogaversary, and gl everyone ^^!! 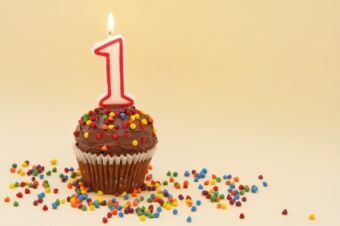 Happy 1st anniversary to your blog! Congratulations for the one year!! I'm from Portugal! Great giveaway! I'm from Romania. Congrats on the 1st year! Great giveaway sweetie! Thanks for following my blog, I am now following you back via GFC & Bloglovin! My Country is Italy, thank you! Would be great if you follow back! Maybe we can also like each other Fb page ? Congrats!!!! Thanks for visiting Pirate Hart! Love this giveaway! Congratulations on your one year anniversary! I love to win from Hungary! Say Hello to CLOTHINGLOVES.net ! !